San Francisco’s Asian Art Museum is one of the largest Asian museums in the West that aims to display various Asian art and cultural pieces. Asian art has a lot to offer when it comes to fabric, paintings, and rare materials that the Western world does not have. The artwork is also very unique and aesthetically pleasing. Many pices showcase the intellectual achievements of the early Asian civilizations. This location helps people from all over the world to appreciate the uniqueness of Asian traditions. The museum is located in the Civic Center Plaza, and there are various ways of getting here. The Museum houses approximately 17,000 artifacts and artworks; some of the treasures are more than 6,000 years old. Guests will surely learn a lot and appreciate the development of Asian art. The collection includes sculptures, furniture, paintings, basket art, textiles and ceramics from South and Southeast Asia, Old Persia and the Middle East. Taste Asian cuisine by eating at the cafeteria in the museum that offers pan-Asia menu like curry, different sandwiches, miso soup and Asian-style salads. The cafeteria has indoor and outdoor seating and you will experience a little bit of Asia in this restaurant. There is also a museum store that has souvenirs to remember your trip by. Aside from the artifacts and Asian treasures, there are also special events that you can enjoy that will give you an Asian experience like the tea ceremony, various performances and lectures. 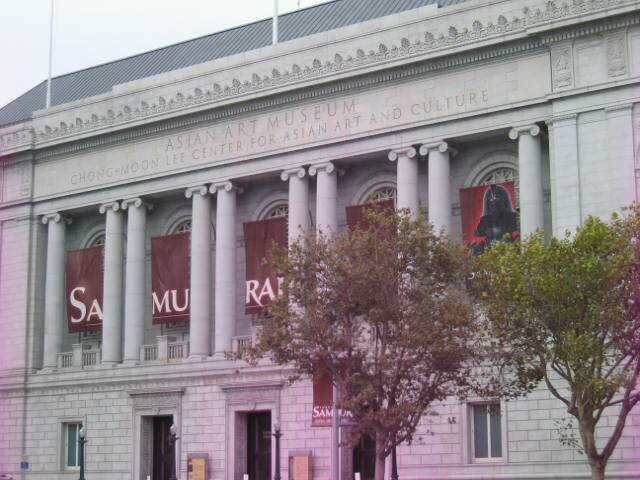 The Asian Art Museum is definitely one of the must-see attractions in the city.